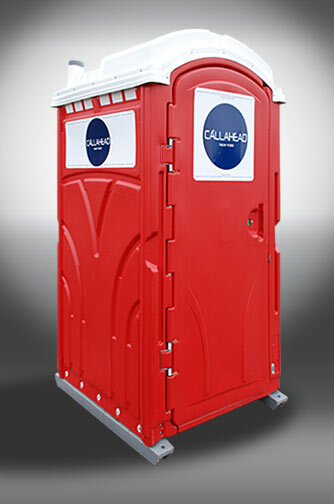 The RED HEAD is yet another unique CALLAHEAD portable toilet rental with a design that will get your jobsite noticed. The RED HEAD’s interior has all the necessities of a basic porta potty. Yet, this porta potty’s exterior is anything but basic. 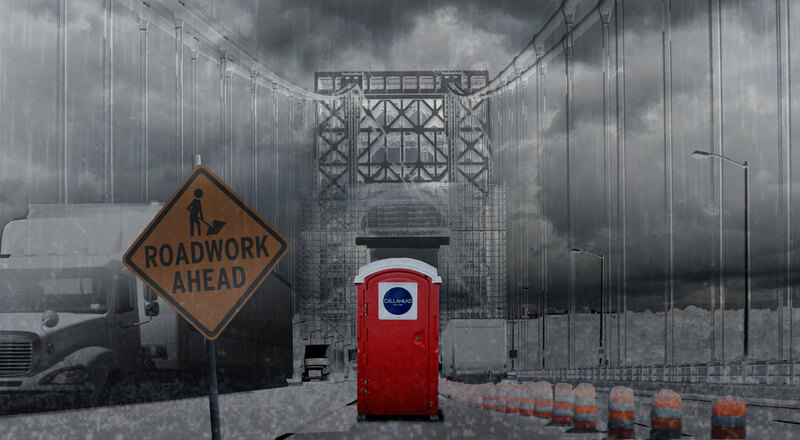 From its extraordinary bright red color, to its distinctive circular navy blue CALLAHEAD New York signage, the public will be immediately captivated by the RED HEAD portable toilet. 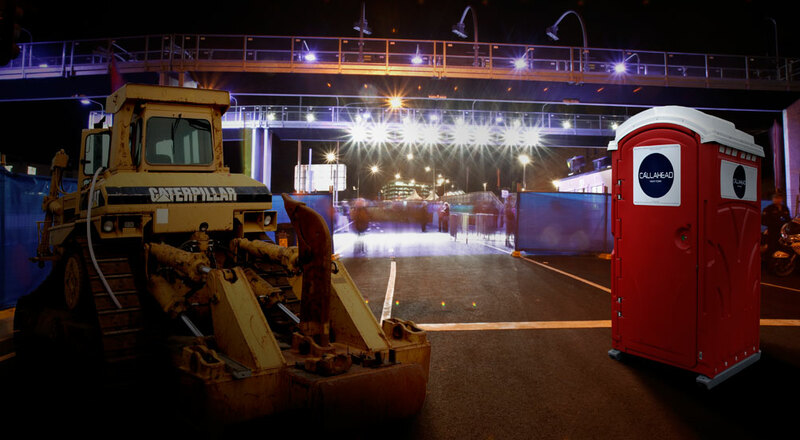 The bright red color will make this portable toilet stand out at your construction site, most importantly at night. The RED HEAD is the perfect port a potty to rent for evening, highway, and road construction sites to provide additional safety. The port a potty’s bright color is reflective to assist in alerting traffic to slow down. A portable toilet rental that is excellent to assist with job site safety while also adding an attractive oriental design to your location. It is no secret that to be successful and stand out in business you need to do things differently. Not just in one aspect of your operation, but through and through. This includes the portable toilet you rent for your employees at the construction site. The RED HEAD porta potty will be noticed and delivers a positive impression of your company’s character. The RED HEAD signifies that you only rent the best in portable sanitation. A port a potty rental to provide hygienic protection for your construction or contracting job site that is also pleasing to the eye. The RED HEAD portable toilet is constructed of high molecular weight twin sheet polyethylene. Its construction makes it one of the most durable outdoor porta potty rentals available. It has a full sized toilet bowl with an extra-large open cavity tank to handle heavy bathroom usage on the jobsite. A separate non splash urinal and easy to clean interior will keep the porta potty cleaner longer for sanitary protection. The RED HEAD port o potty has a lockable door on the inside and its exterior displays an occupancy sign ensuring every user has privacy. A covered toilet paper dispenser and conveniently placed vanity mirror are also mounted inside the RED HEAD’s interior. The portable toilet’s chimney stack and six installed air vents releases odors from previous users quickly. While it’s smooth interior surfaces won’t absorb odors. 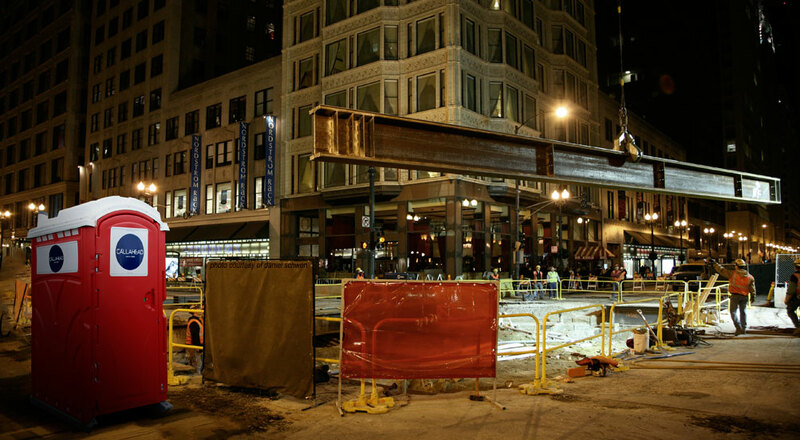 The RED HEAD has an extra-large interior so construction workers wearing bulky tools can maneuver with ease even when the porta potty door is closed completely. The translucent roof allows for plenty of natural light inside the port a potty. New Yorker’s recognize that we must have the best to get the best results. A CALLAHEAD at your New York jobsite is second to none in the portable sanitation industry. Below is a list of locations and jobsites where the RED HEAD standard port a potty is most commonly rented and recommended for. However, this basic portable toilet is an ideal rental for just about any long-term rental location where temporary porta john restroom facilities are needed. The RED HEAD is available to bring your job site to that next level with its design, class, and cleanliness the same day as ordered. CALLAHEAD services all of New York City’s five boroughs of Manhattan, Brooklyn, Queens, Bronx and Staten Island including Long Island’s Nassau and Suffolk Counties all the way to Montauk Point, and all of Westchester. Only CALLAHEAD has nearly four decades of experience to bring your jobsite the best portable sanitation equipment available in New York. We are the best at providing the most sanitary cleaning service, the largest variety in portable toilets, and giving our customers the best value for their money. 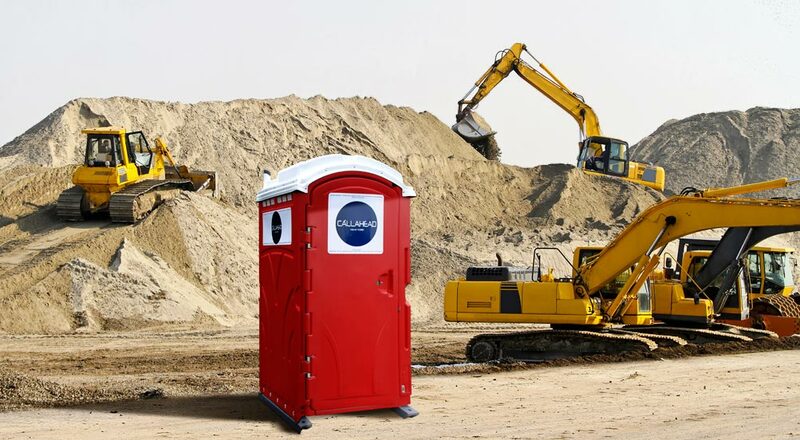 The RED HEAD’s unique style is a CALLAHEAD designed porta potty which will bring distinction to your construction site. Our portable toilets and equipment always arrive in like new condition and are serviced by trained uniform service technicians. 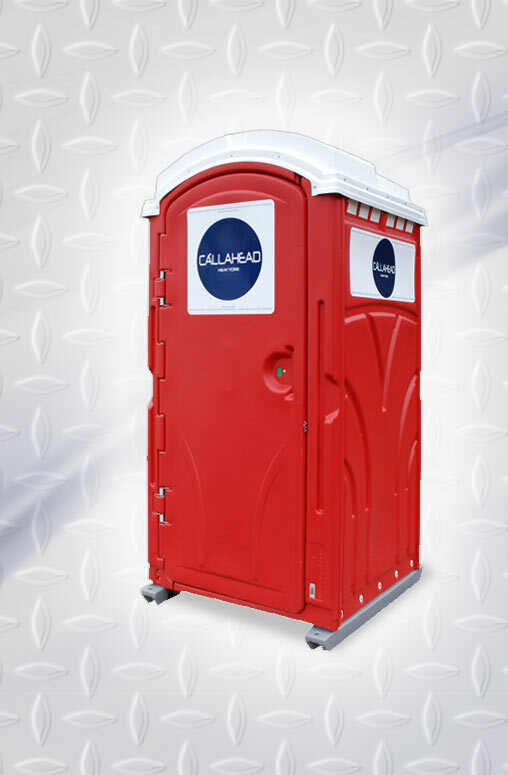 CALLAHEAD has the newest and cleanest porta potty rentals and our trucks are the most sanitary in the portable sanitation industry.